This unique two day programme covers the following areas in detail utilising Best Practice as outlined by Google and the in-depth experience of the practitioner delivering the session. 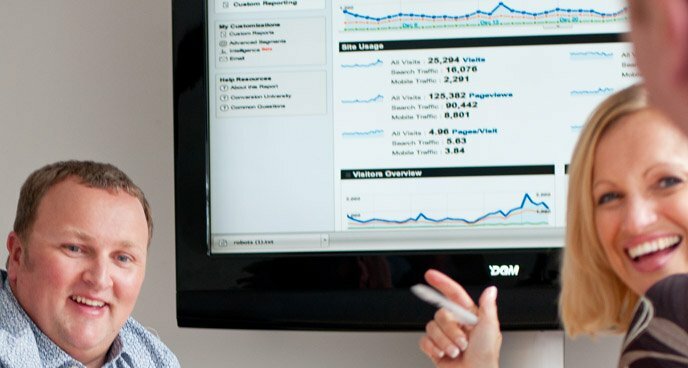 The programme is backed up with comprehensive support material written specifically for the delegates to promote self learning and encourages delegates to go on to become Google Analytics Qualified Individuals and utilise the knowledge gained to evolve their websites using Google Analytics if they wish to do so. Rob is a Google AdWords Qualified Professional and a Google Analytics Qualified Individual. This programme is suitable for delegates that have an understanding of advertising with Google and wish to improve their understanding of Google Analytics and how it can be used to improve traffic volumes, quality and conversions. This programme can be delivered in-house or at a venue of your choice. We can also deliver elements of this course separately if required.